The new Department of Energy standards for residential water heaters set out an extensive range of requirements for new water heaters. Most of these requirements are related to energy efficiency, and many are relevant to you as a homeowner. If you’re considering replacing your Rinnai water heater and want to learn more about how the new NEACA regulations affect you, read on to learn about the effects of the rules on residential water heaters. Do you know how much energy your home’s water heating system uses? Most home water heating systems are responsible for as much as 20% of the total energy that’s used by your home – by no means an insignificant amount. The reason water heating takes up such a significant amount of many homes’ energy bill is because the majority of homes – particularly homes built more than a decade ago – use older, significantly less efficient electrical water heating systems. Under the new Department of Energy standards, home water heaters are required to become more energy efficient. Most water heaters will become moderately more efficient, while large heaters will see a more significant efficiency increase. Home water heaters that contain less than 55 gallons of water will receive an energy of about four percent, on average. This means a reduction of about one to two percent per month on your home’s energy bill. This might not seem like a significant amount, but over the course of several years it can add up to hundreds – potentially even thousands – of dollars. These savings are true for both electrical and gas water heaters. Larger water heaters that hold more than 55 gallons will see an even greater energy efficiency improvement. This is because the standards for larger water heaters are more strict, requiring the use of new technology. Heaters that hold more than 55 gallons of hot water will use new hybrid technology to keep water heated. On average, this should result in a saving of significantly more than the four percent average eduction in energy consumption of smaller heaters. The new Department of Energy regulations for residential water heaters came into effect on the 16th of April, making now a fantastic time to replace your water heater with a more energy efficient and affordable model. Water heaters that comply with the new standards offer a significant reduction in total energy consumption, with can result in savings of anywhere from one to five percent on your household’s monthly energy bill. 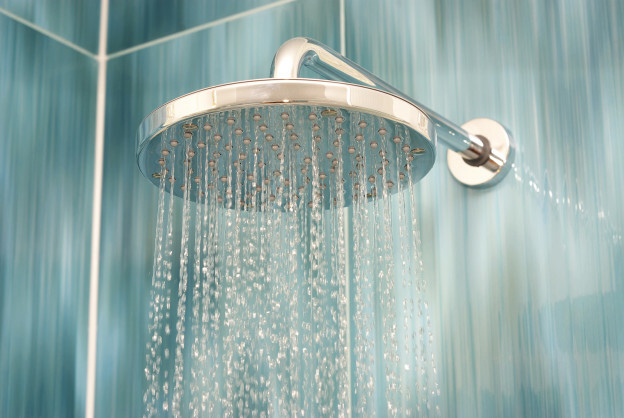 If you need to replace a small water heater that holds less than 55 gallons, a large variety of models are available. Many slightly larger water heaters will fit into the existing space in your home, allowing you to upgrade to a slightly larger heater. Due to the new technology involves in larger water heaters, it’s important that you speak to a plumbing expert with experience in water heating to ensure you choose the most appropriate model for your home and your hot water needs.